I hadn't been to one in the US since Anime Expo 6 or 7 years ago. I was happy to discover that a con had been established in my city in the last couple years - something I had always hoped for. 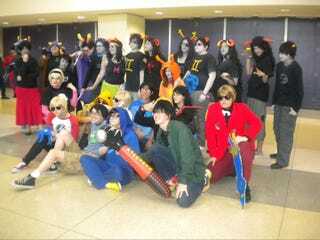 The hotel was overrun by teenagers, over half the cosplayers were from Homestuck, and registration was $30 for one day - and it was after 2pm! My friend and I turned around and went for frozen yogurt instead.